You’ve Written And Published A Press Release – Now What? 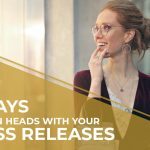 There are many ways to send out your press release – but ensuring that you use the highest-quality distribution channels will help the release get the most traction. In addition to Online PR Media, many platforms exist that can be utilized for online press release distribution, and there is an ongoing discussion as to which one is the best. A good rule of thumb is that quality releases are not cheap, and cheap ones are not quality. When selecting a distribution service, ensure that it is reputable and targets the proper sources. Sending a great release to the wrong sources is just as bad as writing a poor release that ends up not getting traction. Online PR Media boasts a balanced mix of affordability and service. We’ve partnered with hundreds of reputable media sites to get your release published where it really counts. Syndication is the distribution of press release content through a network of strategic partnerships – spreading your message far and wide across a variety of channels. While Online PR Media is your syndication partner for news and media sites, social syndication should be an equally important part of your PR strategy. Key social channels to consider include Facebook, Twitter, YouTube, LinkedIn, Reddit, Pinterest, and Instagram, among others. Sharing your press release on social media ensures that your news gets the recognition it deserves, reaches a greater audience, and helps to build your online presence. However, you should always wait until the release publishes before sharing. Then, grab a link to the published release from unique and relevant media sites to share. For example, a national company may want to share a link of their release published on the New York Times, whereas a local business that only serves residents in a specific area may choose to share their release published locally, such as on the Miami Herald. Your own website is an obvious choice for sharing your news! However, simply copying the press release content to your website could land you in hot water with Google. According to Kissmetrics, the duplication of content is a marketer’s most feared nemeses. When your press release is already published on multiple news and media sites, adding it to your site could be seen as duplicate copy. One of the ways to eliminate this is to write a brief introduction to the release for your website. Then, link to a version of the release on an external news site that you have been published to already. This will increase traffic to your website, but avoid the duplicate copy issue on Google. Never use “to whom it may concern” in your salutation. Make each of your sends purposeful and direct. Do your research – once you have created a media list, read previous publications from each member. Show the journalist how your press release is relevant to their previous work, and to their readers as well – they might be more likely to cover you that way. Twitter, though great for leverage with journalists, is not mainstream. 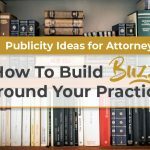 Ensure you have a solid list of contacts for your industry that will assist in getting the word out about your release. Think small for large-scale results. While everyone wants to be in the large newspapers and large website publications, sending to your local and regional news can be just as effective – and they’re more likely to pick up your piece. Never send your release as an attachment. Many email spam filters trap attachments and some people may not have the app needed to open it anyways. Play it safe and link to a published version of the PR. Take a look at your distribution list and ensure that it is properly segmented. If an organization you work with has multiple lines of business, you want to be positive that the right people are getting the right information. Just like when sending with journalists, be sure to personalize your emails to prospects and customers. At the least, include their name in the salutation. If you can take it a step further and personalize the message based on their interests or level of engagement with your company (i.e. why they should care about the news), even better! 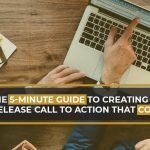 We’ve put this resource together to help you get even more mileage from your press release distribution. While our press release distribution services are the first step to getting the word out about your news, we’ve found that customers who go the extra mile to promote their published release really get the most bang for their buck. Have a question? We’re here to help with feedback about your releases, editorial suggestions, and a wide variety of means to distribute your release.